Inbound means J cars going toward Embarcadero Station. Outbound means J cars going toward Balboa Park. 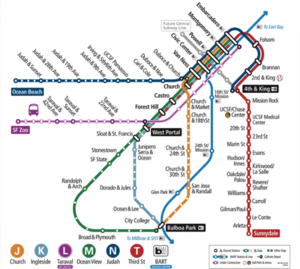 From Balboa Park, the J line runs on surface to Duboce and Church, and operates in the subway under Market Street to Downtown San Francisco.